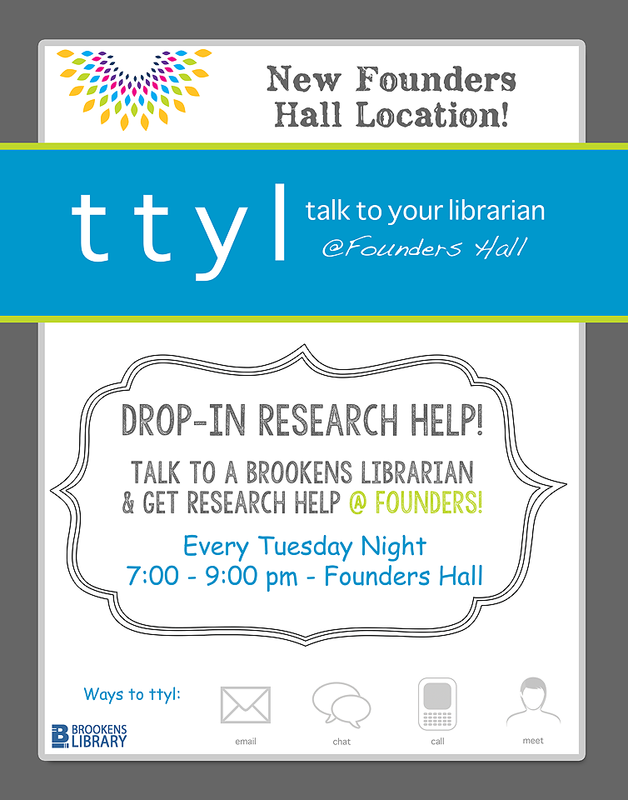 Research Help in Founders Every Tuesday! Need help researching for a big assignment, project or paper and don’t know where to start? Are you getting poor results when searching for books or articles? Ask a Librarian – they are the experts that can help point you in the right direction, refine your searches, and so much more. You can always schedule an appointment with YOUR librarian or we also offer the opportunity to meet with a librarian in Founders Hall, no appointment necessary, Tuesdays from 7-9pm.